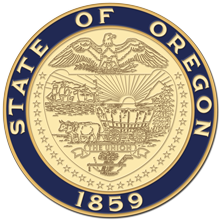 Salem, OR—Governor Kate Brown today declared a statewide wildfire emergency, which activates Operation Plan Smokey to make Oregon National Guard (ONG) troops and resources available to the Oregon Department of Forestry (ODF). At the request of ODF, aviation assets will be made available to wildfire crews in Oregon. ONG ground troops have not yet been requested but are now available if wildfire conditions worsen. "The wildfire season has escalated in Oregon much earlier normal, and crews are working around the clock to keep homes and resources safe," Governor Kate Brown said. "Given drought conditions and hotter than usual temperatures, Oregonians should be prepared for an intense wildfire season this year. I'm committed to making state resources available to ensure crews have the resources they need, and I also urge the public to be mindful of fire restrictions and use caution this summer to help keep Oregon green." Operation Plan Smokey is an agreement between the ONG and the ODF that allows guard resources to be deployed to assist in wildfire management and suppression. Additionally, the emergency declaration allows Office of Emergency Management to coordinate with other states for assets if needed in the future.